“Content is the King!” is a famous quote in the digital marketing landscape. Is that why you want to learn about “How to Write an Article” for your blog? A blog is the central element of a content marketing strategy. It helps in building relationships with the readers by providing them with information that they are looking for. With the spread of Content Marketing, the importance of blogging has also increased. For almost anything, we, as users take help from online content which is primarily in the form of blogs. This, in turn, means traffic for the website, which means a greater audience to pitch to. Are you inspired by blogging opportunities? Do you want to know how to write an article that gets you thousands of visits? There are a number of essential elements that should be taken into consideration while writing an article for online websites. In this guide, we will bring all these elements into the limelight and will make it sure that you write an article with utmost precision. So, get ready to start your journey to write an amazing article. Performing basic keyword research is a critical action that needs should be the first step of writing an article for the web world. This is done to attract the audience you wish to target, and also to grab a higher rank in the Search Engine Results Page. Keyword Research is one of the main Search Engine Optimization activities which helps you to identify the search terms that users would type to get information. Keyword Research can be done through different methods. With the help of keyword research, you can easily find popular search terms of your niche and include in your blog post. Step 1 – Go to Ubersuggest. This is a free keyword research tool that gives multiple keyword suggestions. Step 2 – Type your keyword, enter your language & country and press enter. A dashboard like this will appear before you and will give you important stats on the Search Volume, SEO Difficulty, Paid Difficulty & CPC. When you scroll down the page, you’ll find more keyword ideas. Step 3 – By clicking on “View All Keyword Ideas” you can get access to more similar keywords, which you can copy to clipboard or can export to CSV. Step 4: Choose a Keyword that has high search volume but a lower SEO difficulty. Now, you have chosen the keyword that you will target. And this keyword will be the key to having your article get more visitors. It is a widely known fact that the internet has become highly cluttered and almost everyone is making its way towards it. Irrespective of how resourceful and informative is the article that you have written, if it doesn’t have an irresistible title, it won’t even get read. According to CopyBlogger, 8 out of 10 people read your headline while only 2 out of 10 people look forward to reading the post. Thus to make sure that your blog post gets enough views and visibility, you have to make sure to write a headline that has the potential to grab the attention of the user in the first shot. Writing great content surely takes some time and effort. Merely compromising on the headline is not at all a good choice. So, want to become a pro in headline writing? Write at least 5 headlines before you begin with your article and then pick the best one. A majority of professional bloggers recommend doing this. You should spend the same time working on the blog titles as much as you spend on the blog. Brainstorm multiple headlines, write them down and see which one has the potential to entice readers. You can also share the blog titles with your friends and colleagues to get their feedback. Accuracy is essential when you are writing a title for your blog post because it clearly defines what your blog post is all about and also sets clear expectations amongst your readers. Do not stretch the title of your article to an extent where your readers lose interest in reading. Keep the title short, concise and to the point without beating around the bush. Blog posts with lengthy titles fail to engage the audience. Try to keep the word count of your title between 6 – 8 words as headlines with these many words tend to have a higher Click Through Rate. How, Who, What, When, Why, When and Why are interrogative words that lead to high levels of user engagement. A majority of people look for information online and these words are capable of evoking the curiosity of the readers. Well, this is quite important. You should always write the headline of your post in the second person. The reason for this that the second person pulls the reader into action. It enables the reader to experience as the blog was written specifically for them. Frame the headline of your article in the form of a question. The purpose of the headline is to convince users to click on the link to further read the blog. Questions are like an invitation. They immediately draw the attention of the user. This is one of the most important rules to follow. Just for the sake of creating an irresistible headline, do not get off the track. Ensure to write a relevant title for your write-up. Power words trigger psychological and emotional pain points of the readers. They are highly persuasive in nature and grabs the attention of the readers in the first shot. Some examples of Power Words are Awesome, Incredible, Great, Instantly, Free, New etc. Just like humans are attracted towards contrasting colours, in the same way, humans are attracted towards numbers as well. Using a number in your headline will eventually make your blog post stand out in the crowd. So, by now you must have got an idea on how to write irresistible headlines for your articles. Next what comes is the introduction. The introduction of your article is no less than an elevator pitch. The purpose of the introduction is to hook the readers, keep them engaged and persuade them to read until the end. The introduction should complement the headline. It should briefly explain what the post is all about and why readers should go ahead & read it completely. As mentioned earlier, questions invoke the curiosity of the readers. Unanswered questions create an informational gap. This creates curiosity amongst the readers. As a result of this, they go ahead and read the article completely. Write a question about what your readers might want an answer for. Furthermore, questions create an emotional bond between you and your readers that they can’t ignore. Remember, the main objective of the introduction is to create interest so that the readers read the whole blog. 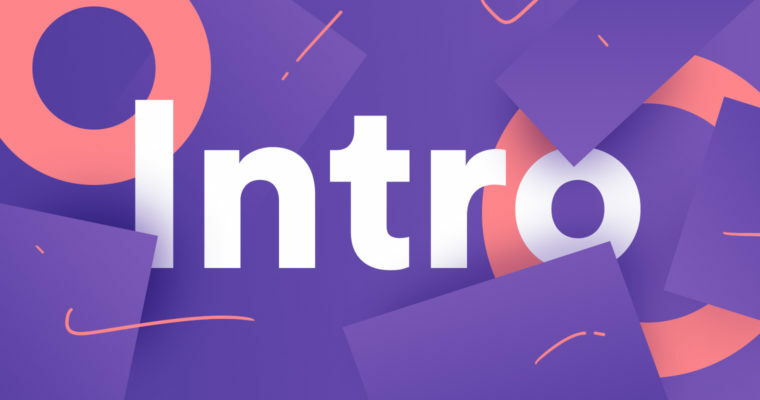 Lengthy introductions tend to decrease the level of interest amongst the readers and they generally bounce back. Thus, make your introduction, short and crisp. Using quotes in the introduction is a great way to make your introductions more exciting and appealing. Quotes written by well-known authors are authoritative in nature and increases the reader’s trust. Statistics and facts increase the value and also boosts credibility. 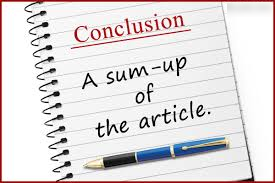 Statistics and facts highlight your article & attract more readers. Facts and statistics are also the best way to prove results. You can either your own statistics and facts, but in case you are facts and statistics from other sources, ensure to give proper credit to the source. Does your blog post impart any valuable information? Does it connect with the pain points of the readers? Is your blog post worth reading? This is your “Why”. After your reader is convinced by your irresistible headline, they look forward to the introduction to see if the blog post actually provides any value or not. You have to offer a compelling reason to the readers why they should go ahead and devote their precious time in reading the blog post. Now comes the main part of your article – the body. After all, you’ve put in a lot of effort in writing an irresistible headline and an amazing introduction to make sure that the readers read your article. The structuring of your article should be such that it should make it more appealing to read and eye-pleasing. Write short and concise paragraphs. Do not make the body looks like a thick piece of text without any white space. It is often recommended to write short paragraphs to maintain the interest of the readers. Also, the readers tend to retain information that is presented to them in shorter paragraphs. Subheadings are the pillars of writing. They divide your write-up into important sectors so that the user does not lose interest and keep on reading the blog. Subheadings make the articles easy to read and retain. Bullets are one of the most effective forms to present information as they are easy to scan. They prevent readers from bouncing back and keeps them intact with the blog. By eliminating unnecessary words, bullet points improve the readability as well. Using links in your writing is a good internet etiquette. It makes it easier for readers to know more about the information that you are talking about. On the other hand, putting too many links on your blog post can have an adverse impact on you. It gives an impression that you yourself have not put enough information in your blog post and so are linking to other blogs. To break up the text or monotony in reading, you should use images in your blog post. There is an age old saying that “A picture speaks a thousand words” and so you can use this saying for your benefit. You can use images in the form of pictures, charts, infographic, screenshots etc. Now that you have sparked the interest of your reader with an irresistible headline, attention-grabbing introduction and an amazing body, it is now time to end or conclude the article with something motivating. A strong conclusion leaves an impression on your readers and encourages them to read more content on your website. Thus, you have to ensure to write an enticing conclusion. Do not underestimate the power of conclusion because if your conclusion is not up to the mark, your whole blog can easily fall off. The conclusion provides you with the best opportunity to increase further engagement with your target audience. Write a short recap of all the important points that were covered. This allows you to reinforce your message and makes it easy for the readers to retain information. Don’t forget that is the conclusion and not the body. Keep it short and avoid adding any new information. In order to get more comments, try to end with a question. Again, do not ask too many questions. This might confuse your readers & they might leave without taking the required action. Motivational quotes have a long-lasting & positive impact on the reader’s mind. 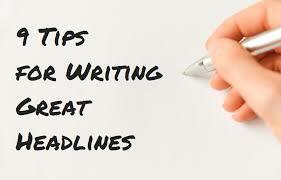 Ensure to have an attention-grabbing headline & introduction along with an informative body. Don’t forget to include images wherever necessary and use subheadings. Lastly, end your conclusion with an enticing conclusion that leaves an impact on the readers. 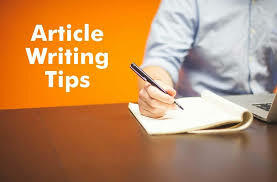 Article Writing can be really fun and profitable if you follow the right guidelines and tips. 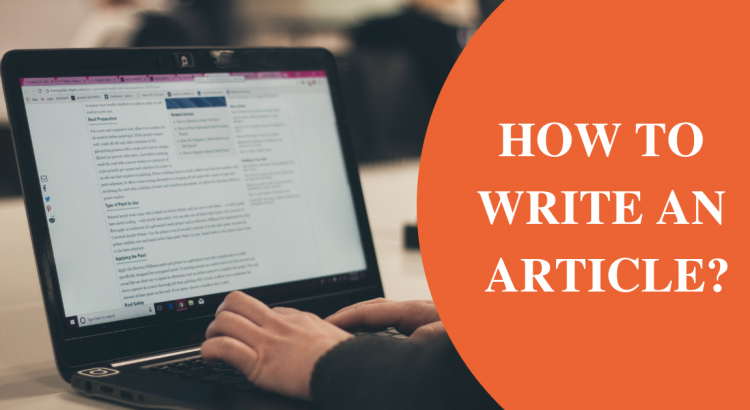 Knowing how to write an article for the web is important to reap benefits. Looking to get in-depth knowledge about content marketing? Join Digital Vidya’s Certified Digital Marketing Course and elevate your career.